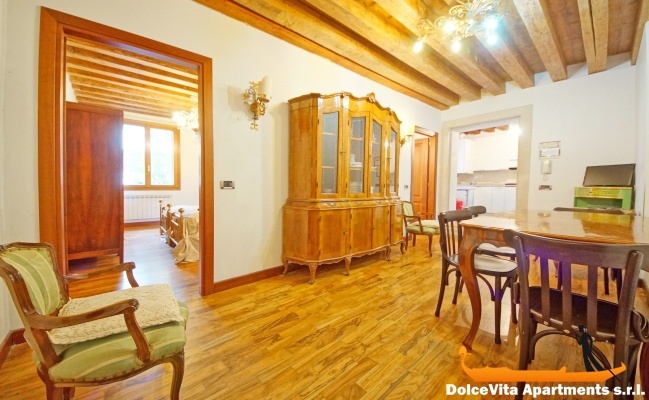 Apartment N. 283: It can accommodate up to 4 people, it is rented from 125 € per Night (not per person). 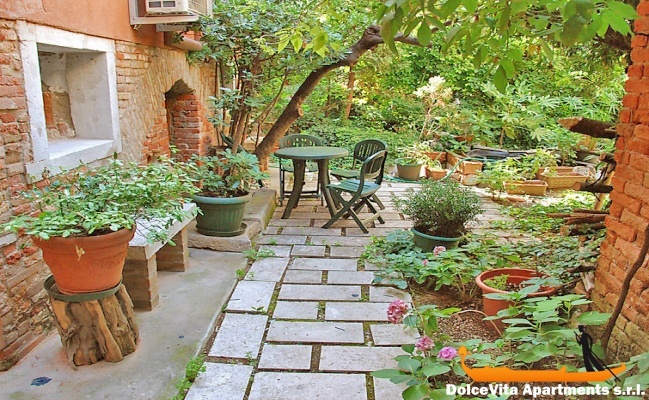 Apartment in Venice with Garden for 4 People: Very nice apartment with garden in the center of Venice, in the district of Cannaregio. It is located on the first floor and it has living room with dining table and TV, two bedrooms, kitchen and bathroom with shower. 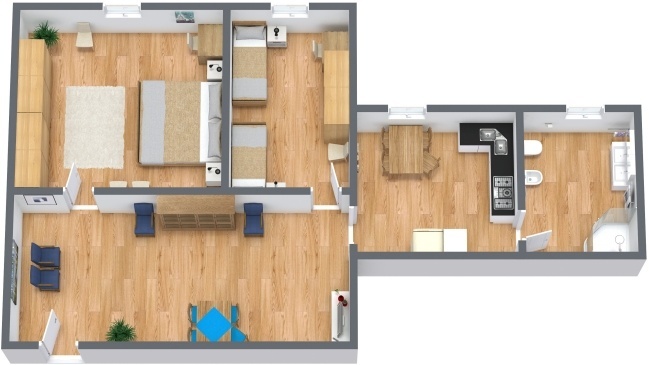 It can accommodate up to 4 people. The apartment is furnished with taste, with antique furniture. 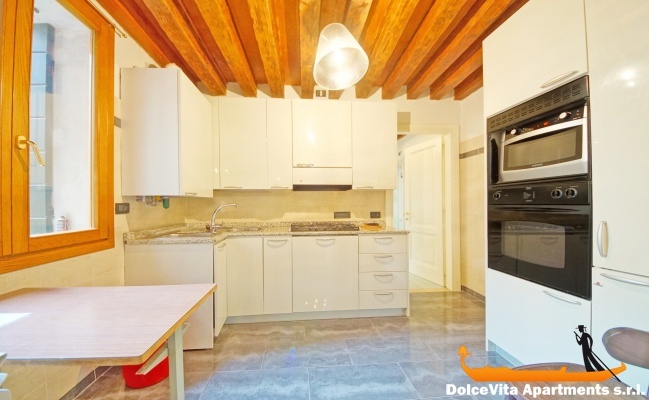 The kitchen is equipped with 5 cooking rings, oven, microwave, dishwasher, fridge and freezer. 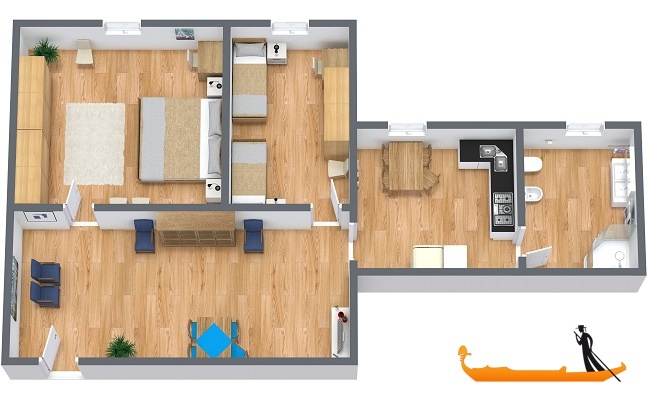 There is also gas heating, air conditioning, free WI-FI and washing machine. On arrival you will be provided with sheets, blankets, pillows and towels. For its location just 5 minutes walk from St. Lucia railway station, this is the ideal choice for those traveling by train. Those who travel by car can park at Tronchetto or Piazzale Roma and then walk to the house (10 minutes from Piazzale Roma) or take a Vaporetto at the Guglie stop (a few meters from the apartment ). Guests arriving in Venice by plane can reach the city center with an ATVO or ACTV shuttle bus. We also remind you that the bus from the orange line Alilaguna stops 50 meters from the house. 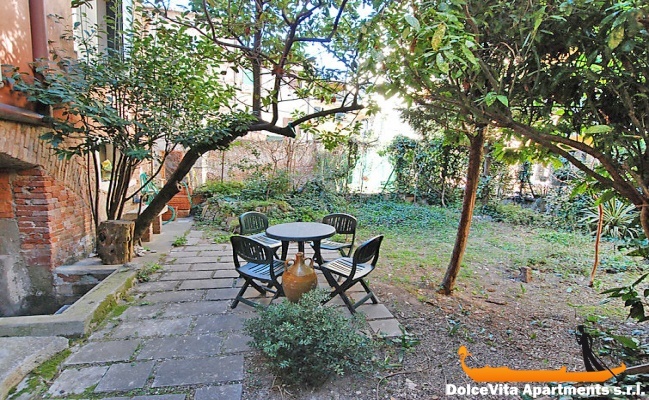 Convinient location, just 40 steps from Guglia waterbus stop, 12 minutes by foot to train station. Wi-Fi was a problem because of wery weak signal. The router is inside the owner's apartment upstairs. No ipad, iphones, smartphones coud detect the signal. Wi-Fi was available only for notebook and only in the kitchen and bathroom. It was chilly inside the apartment (in January).